Residency restrictions apply. See dealer for details. Must take retail delivery by 04/30/19. Offer valid on vehicles equipped with a diesel engine. See dealer for details. Must take retail delivery by 04/30/19. Must show proof of eligible commercial business.Residency restrictions apply. See dealer for details. Must take retail delivery by 04/30/19. Average Dealer Discount is based on a statewide sales survey of average variance between MSRP and negotiated vehicle price offered by select Ram dealers statewide before other advertised incentives are applied. Discount may vary based on option package and features, financing terms, availability and other factors; dealer determines vehicle price. See dealer for details. Must take retail delivery by 04/30/19. Low-mileage lease for well qualified lessees. Based on MSRP example of $35,040.00 with 24B package after all applicable offers. Total due at lease signing includes a down payment and first month’s payment. Offer requires dealer contribution. Tax, title & license extra. Lessee pays for excess wear and mileage of $.25/mile ($0.50/mile for SRT models) for each mile over 10,000 miles per year, if vehicle is returned at end of term. Option to buy at lease end at pre-negotiated price. Dealer’s actual terms may vary. Offer through Chrysler Capital. Residency restrictions apply. Must take retail delivery by 04/30/2019. $395 disposition fee due at lease end. Low-mileage lease for well qualified current lessees of a competitive brand vehicle (Non-FCA US LLC). Must show proof of ownership. Based on MSRP example of $29,340.00 with 21A package after all applicable offers. Total due at lease signing includes a down payment and first month’s payment. Offer requires dealer contribution. Tax, title & license extra. Lessee pays for excess wear and mileage of $.25/mile ($0.50/mile for SRT models) for each mile over 10,000 miles per year, if vehicle is returned at end of term. Option to buy at lease end at pre-negotiated price. Dealer’s actual terms may vary. Offer through Ally Bank. Residency restrictions apply. Must take retail delivery by 04/30/2019. $395 disposition fee due at lease end. For well-qualified buyers. Not all buyers will qualify for the lowest rates. Must receive financing through Chrysler Capital. Example down payment is 10%. 36 monthly payments of $27.78 per thousand borrowed. This rate is for estimation purposes only. You may not be able to finance your vehicle at this rate. See dealer for details. Must take retail delivery by 04/30/2019. Low-mileage lease for well qualified returning FCA US LLC lessees. Based on MSRP example of $35,290.00 with 2BE package after all applicable offers. Total due at lease signing includes a down payment and first month’s payment. Offer requires dealer contribution. Tax, title & license extra. Lessee pays for excess wear and mileage of $.25/mile ($0.50/mile for SRT models) for each mile over 10,000 miles per year, if vehicle is returned at end of term. Option to buy at lease end at pre-negotiated price. Dealer’s actual terms may vary. Offer through Chrysler Capital. Residency restrictions apply. Must take retail delivery by 04/30/2019. $395 disposition fee due at lease end. For well-qualified buyers. Not all buyers will qualify for the lowest rates. Must receive financing through Chrysler Capital. Example down payment is 10%. 60 monthly payments of $16.67 per thousand borrowed. This rate is for estimation purposes only. You may not be able to finance your vehicle at this rate. See dealer for details. Must take retail delivery by 04/30/2019. Mopar provides authentic OEM parts for your Chrysler, Jeep®, Dodge, RAM, FIAT or SRT vehicle. We also offer OEM accessories and performance parts for your vehicle to make sure it’s customized to your heart’s desire. 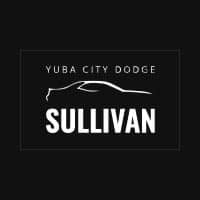 Whether you already drive your favorite Chrysler, Dodge, Jeep®, or RAM in the Greater Sacramento area or are still searching for the ride of your life, John L Sullivan Dodge Chrysler Jeep Ram is here to meet your needs. You can see what we’re about from the convenience of your home or business by paying a virtual visit to our dealership. But to experience our top customer service first-hand, come down to chat with our experienced sales staff, our factory-certified service consultants, or our parts experts. You’ll find us at 950 Harter Parkway, in Yuba City, California.